Just after splitting from SR 7, we’ll approach SR 833. Turn right for 124 east/833 south (signed as west). 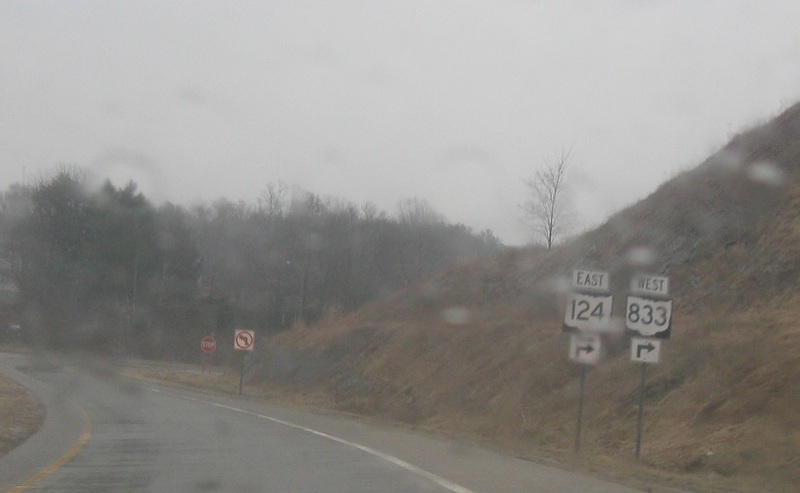 There is no legal left onto 833 north, which just connects back to US-33.